Audio software, video software, programs to watch movies, software to listen to music, television software, programs for free download AudioCool Audio Converter, Total Movie Converter, WaveMax Sound Editor, RecordMax Burning Studio, CDAConv, Burnova, CamDVR, SockConverter, Video Joiner Free, Audio Cutter Free Download for free! »» Free download AudioCool Audio Converter! 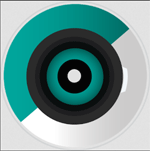 AudioCool Audio Converter supports and is compatible with most popular music formats. »» Free download Total Movie Converter! Total Movie Converter is a simple, stable, fast and very efficient program to convert video. »» Free download WaveMax Sound Editor! WaveMax Sound Editor allows you to cut, combine, merge or mix audio files. »» Free download RecordMax Burning Studio! RecordMax Burning Studio is a simple, stable, fast and very efficient program to create video DVDs. CDAConv is a simple, stable and efficient program. Burnova is compatible with the most popular video formats and offers different basic editing tools. 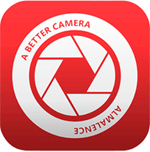 CamDVR is a simple, stable, fast and efficient video capture software. SockConverter is compatible and can convert between the most popular audio and video formats. »» Free download Video Joiner Free! Video Joiner Free is very useful when you want to merge small video files into a single file. »» Free download Audio Cutter Free! Audio Cutter Free is a simple, stable and very efficient audio cutter.